If you have been searching online trying to find the best Denver We Buy Houses Investors then you have come to the right place. We are professional home buyers that operate in the Denver Colorado area, and we have been working with clients and helping them sell their homes quickly for cash for several years now. If you are interested in selling your home fast for cash today, then give us a call right now at (719) 286-0053 and someone from our team will be more than happy to discuss your situation, and let you know exactly how much we’d be willing to pay for your home. 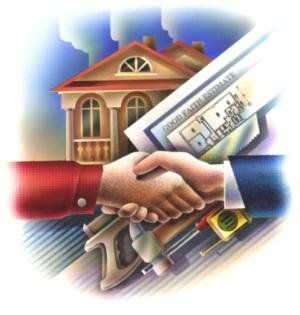 There are many reasons to sell your home to a private real estate investment firm such as us, and we are going to discuss some of those options right now so you can make the best decision possible for your specific situation. Denver is one of the hottest real estate markets in the country, and we are constantly looking for houses to fix and flip, then resell on the open market for a nice tidy profit. We are 100% honest about our business model and seek to be upfront and truthful about everything that we’re doing and exactly how we operate. We only want to make deals that are win-win, and result in a quality experience for everyone that is involved. Generally, we will pay up to 80% of the after repair value of your property, minus repairs. This is the formula that we use in order to determine our cash offers, and it allows us with enough breathing room to fix up the property, make the necessary repairs, and flip it for a profit. We are going to make money on the deal, yes, but that doesn’t mean that you will not benefit as well. This is a mutual relationship, and we are only interested in helping clients and don’t want to force anyone to sell their home for less than it’s actually worth. Our proprietary home buying formula has allowed us to successfully purchase hundreds of homes in the Denver, Colorado area, and we will continue to work with our clients and help them achieve their goals. No repairs! Forget about making expensive repairs and staging your property. We will handle all of that! No commissions or fees. You will pay no real estate agent commissions or listing fees. If you want to get a cash offer on your Denver home today within 24 hours, call us now at (719) 286-0053 or simply fill out the form below and someone will get in touch with you to let you know how much we’d be willing to pay for your property.